Keep your focus upon your intentions, desires, and priorities. Pay attention to the doors that are opening, and learn from the doors that are closed. Keep a positive outlook about your dreams, and imagine that they’ve already manifested into reality. Spend time each day devoted to projects that are near and dear to your heart. If you are feeling stuck or indecisive, the Universe doesn’t know what you want and you get more of the same energy. It is important to clearly decide what direction or goals you choose and then focus on them, and then the energy for creating is much stronger. If you are unsure what is the next step on your path, ask the angels. They will help to guide you. It is your responsibility to take the steps through those doors you choose to take. Know that everything works within the Universal Laws, such as the Law of Attraction and the Law of Divine Timing. This means that the vibration you are putting out is what you receive, and that certain pieces of the puzzle must be in place so that other parts can come into play. If you skip, rush or ignore certain pieces or parts, the plan lacks a solid foundation, and you don’t see the results you desire. 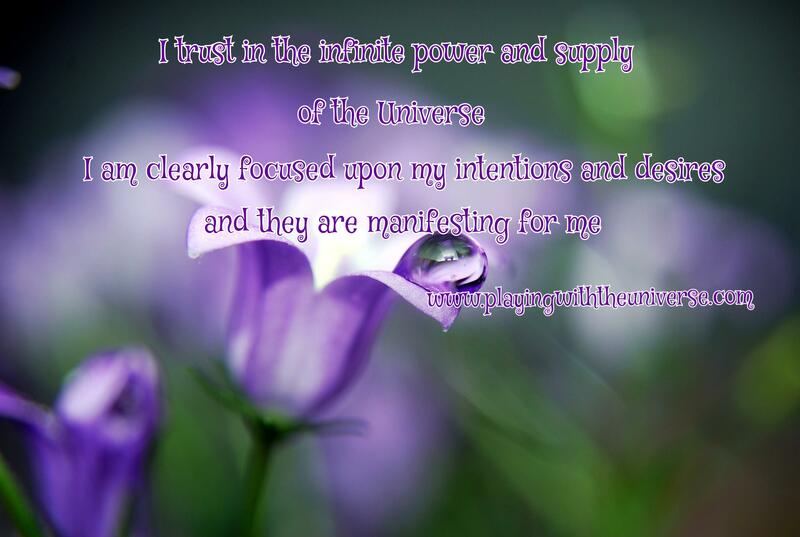 Decisiveness is the catalyst for the Angels to clear the way for your manifestations. Let go of the fears or the worries and focus only on the destination you intend to reach. Enjoy the journey along the way.